Massive emission of CO2 into atmosphere from consumption of carbon deposit is causing climate change. Researchers have applied metabolic engineering and synthetic biology techniques for improving CO2 fixation efficiency in many species. 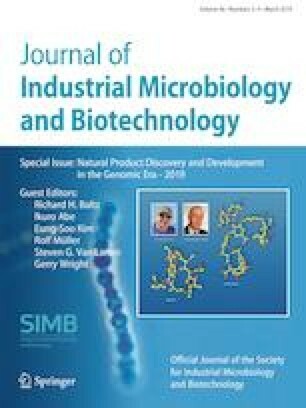 One solution might be the utilization of autotrophic bacteria, which have great potential to be engineered into microbial cell factories for CO2 fixation and the production of chemicals, independent of fossil resources. In this work, several pathways of Ralstonia eutropha H16 were modulated by manipulation of heterologous and endogenous genes related to fatty acid synthesis. The resulting strain B2(pCT, pFP) was able to produce 124.48 mg/g (cell dry weight) free fatty acids with fructose as carbon source, a fourfold increase over the parent strain H16. To develop a truly autotrophic fermentation technique with H2, CO2 and O2 as substrates, we assembled a relatively safe, continuous, lab-scale gas fermentation system using micro-fermentation tanks, H2 supplied by a hydrogen generator, and keeping the H2 to O2 ratio at 7:1. The system was equipped with a H2 gas alarm, rid of heat sources and placed into a fume hood to further improve the safety. With this system, the best strain B2(pCT, pFP) produced 60.64 mg free fatty acids per g biomass within 48 h, growing in minimal medium supplemented with 9 × 103 mL/L/h hydrogen gas. Thus, an autotrophic fermentation technique to produce fatty acids was successfully established, which might inspire further research on autotrophic gas fermentation with a safe, lab-scale setup, and provides an alternative solution for environmental and energy problems. The online version of this article ( https://doi.org/10.1007/s10295-019-02156-8) contains supplementary material, which is available to authorized users. The original version of this article was revised: Due to open choice cancellation. This research was financially supported by the Key Research Program of the Chinese Academy of Science (KFZD-SW-215, ZDRW-ZS-2016-3), National Natural Science Foundation of China (31522002, 31770105).